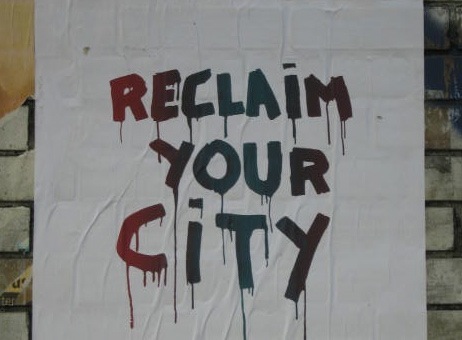 Samir Jeraj reports on the inspirational wave of housing activism sweeping UK towns, cities, and communities against the rogue practises of private agents and the complicit lethargy of the government, and argues such activism may yet shape how we live in the coming decades. A wave of housing activism is sweeping the UK. Exposing rogue landlords, campaigning for changes to the law and forcing local and national government to take action – these are the housing struggles being waged. The UK has a long history of housing activism. From the 1915-16 rent strikes in Clydeside, Glasgow , through the squatters movements of the 1960s and 1970s, and more recent campaigns to defend council housing. The issues being fought by the new wave of housing activists are not so different, security of tenure, rent, and conditions all feature. What has changed is that these struggles have become a front in the conflict between generations, and a conflict involving the ‘precariat’, the group of “millions with insecure jobs, housing and social entitlements”. Criminal landlords are one of two main areas of work for EPTAG. One such landlord was convicted of a breach of the peace and had their HMO license removed, but there is still a lot of work to be done to improve regulation, enforcement and advice to tenants. The other area is illegal fees being charged by landlords and letting agents on top of deposit and rent. ‘£90 is the going rate for each adult in a flat’, according to research by EPTAG. The campaign took to the streets at the end of July and picketed the lettings agents DJ Alexander. Behind the new wave of housing activism are complex social and economic changes. Growing insecurity in jobs and benefits has translated into ever more insecure housing. Whereas since the late 1980s privately-rented housing was seen as a transitional step towards home ownership, now there is talk of a ‘generation rent’ excluded from home ownership. The ever diminishing life chances facing young people, migrants, and the working-class is, according to Guy Standing, creating a new ‘dangerous class’. It is from this class that the new popular movements in Spain and Greece draw their membership. It is also the class with the most to gain from housing activism. We are already seeing responses as a result of this campaigning. Local and regional governments in Newham and Wales are looking at tightening regulation of private landlords by forcing them to register. In Norwich, a local Councillor has launched a national petition to improve the rights of private tenants after 40 of his constituents were handed eviction notices by their new landlord. EPTAG have succeeded in having one landlord banned by Edinburgh Council, and another having their HMO license removed. Central government has however been less helpful by seeking to criminalise squatting, a form of housing activism that can be traced back to the 17th Century. A campaign group called SQUASH (Squatters’ Action for Secure Homes) is fighting against the criminalisation of squatting and for housing rights. They are collecting case studies and stories of people affected by criminalisation in the hope of building a case for the law to change, as well as supporting squatters facing court cases. The energy and vitality of the campaigning happening in housing is inspirational. The small groups being started in town, cities, and communities have started to win battles against rogue landlords. They have also been able to force the authorities to take notice of widespread abuse and unlawful practices by lettings agents. The next steps are to come together nationally to press for changes to the regulation in private rented housing. That could mean rent caps, it could mean improving tenants’ rights, or stricter regulation. The challenge is a central government loath to intervene in the market, and whose focus is still on home ownership. Samir Jeraj was a Green Party Councillor from 2008-2012. He has an MA in Development Studies from the University of East Anglia and a BA in History with Economics from the University of York. His current focus is writing on issues in private rented housing.